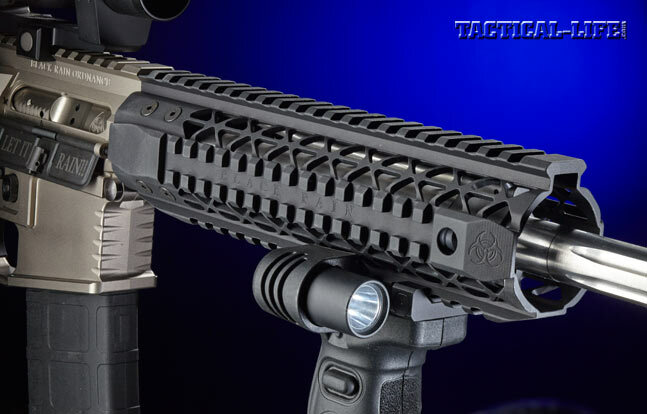 The Black Rain Ordnance PG9 is a Norguard-finished, direct impingement semi-auto 5.56 AR with a 16-inch barrel, Magpul MOE stock, and 30+1 capacity. 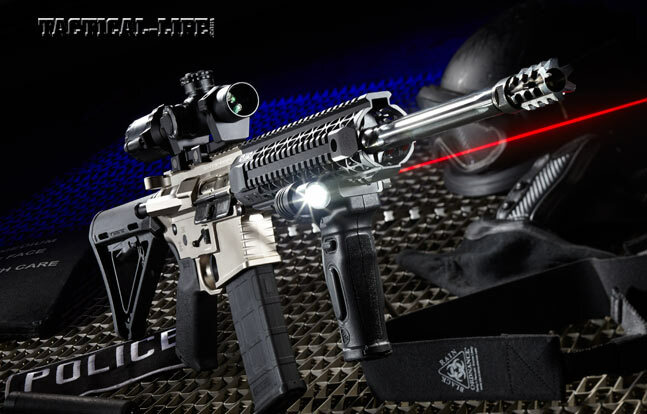 Black Rain Ordnance’s PG9 combines striking looks, reliability and accurate 5.56mm firepower. 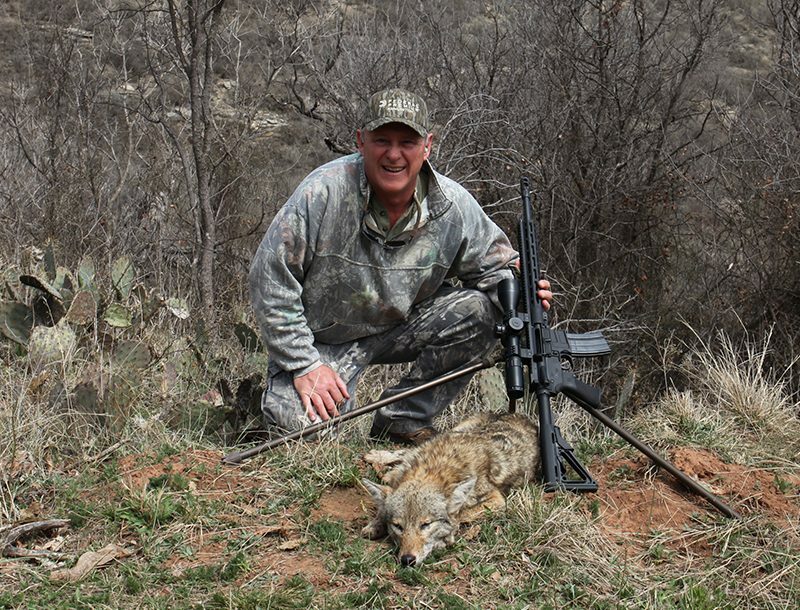 Shown with a Bushnell AR Optics 1-4x24mm Throw Down PCL riflescope. The PG9’s black controls, takedown pins and KNS Gen 2 Mod 2 anti-rotation pins contrast nicely with the Norguard receiver finish. The upper and lower receivers feature smooth angles and lines, including around the forward assist, showing Black Rain’s attention to detail. 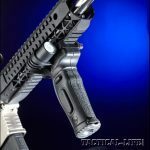 Black Rain’s flash suppressor, while covered in aggressive angles and teeth, is also very effective in reducing flash signature. 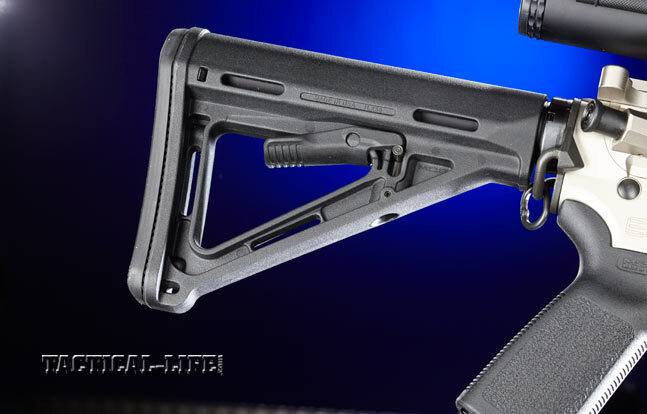 Two Magpul enhancements include the MOE stock and an Ambidextrous Sling Attachment Point (ASAP) held in place by the castle nut. 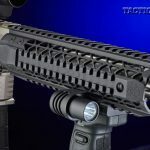 Surrounding the barrel is Black Rain’s 9-inch, free-floating, mid-length quad-rail handguard, which is machined from 7075 aluminum. Black Rain equips the PG9 with a Magpul MOE grip and its own DIT drop-in trigger group, which provides a crisp, single-stage, 3.5-pound pull. When a law enforcement agency wants to upgrade or acquire patrol carbines, the first option is usually “the low bid,” which kicks the newer, less basic carbines to the curb. 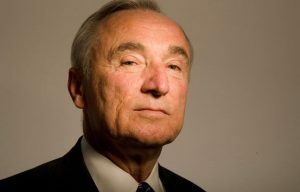 Fortunately, most agencies have learned how to play the game when they really want a piece of equipment they feel is superior. This can open up the field to include new and old names in the industry. 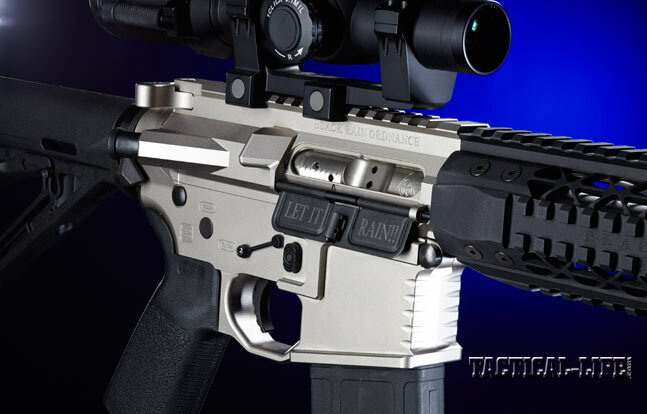 One of those newer names is Black Rain Ordnance, out of Neosho, Missouri, where it has been in the AR business since 2009. 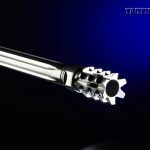 Now, 2009 is pretty recent for the birth of a manufacturing company, but it’s certainly long in the history of a manufacturing company that approached its objective with guidelines and perhaps a vision already in place before the first machine cut metal. 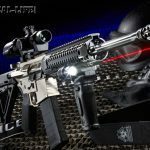 Black Rain Ordnance states, “From the beginning, we acquired the best machinists to manufacture the finest receivers possible. Our design team created a unique look and feel, with features that all shooters can appreciate, as well as including the use of the best materials available. We strive to use only American metal—it is important to us to ensure that all products carrying our Bio-Hazard logo are made in America by American workers.” With guidelines like these, it is easy to see how Black Rain could have made such strides in a short five years. 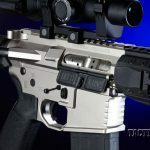 Originally offering only upper and lower AR-style receivers milled from 7075 aluminum alloy billets—all of which include distinctive Black Rain Ordnance touches—it did not take the company long to realize it was quite capable of extending its expertise to complete ARs and everything in between. And it has done just that, with some panache. The use of the universal Bio-Hazard warning pictogram on Black Rain’s ARs and the striking appearance of its muzzle brake are just two small examples. 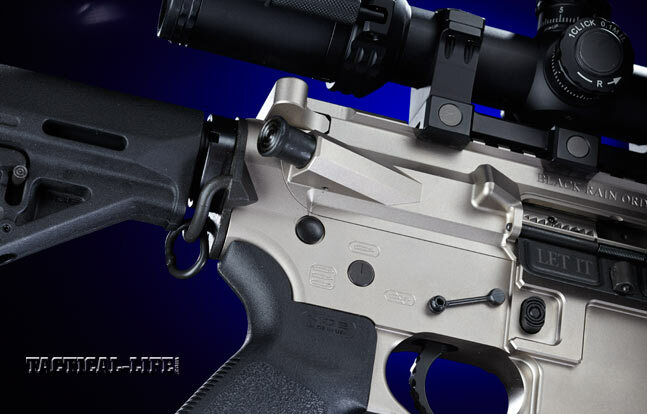 Of course, once the folks at Black Rain Ordnance discovered building complete 5.56mm NATO ARs was no real problem, the next natural step was to build rifles in .308 Winchester/7.62mm NATO, as the company proved in 2012. 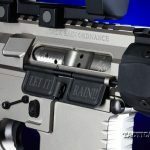 While some of its AR parts are purchased from vendors capable of meeting Black Rain’s specifications, the company still pushes to meet its stated goal of “gradually conquering all of the metal parts of the AR platform” by “designing and producing more and more components and accessories.” It looks like Black Rain Ordnance is showing no sign of going away or ceasing to innovate. 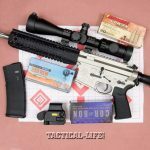 I was recently lucky enough to test Black Rain’s 5.56mm PG9 carbine to try out its products for myself. Slipping the PG9 out of the black ballistic nylon zipper bag it arrived in (which had a Bio-Hazard tag) was an eye-opening experience—the photos on the website did not do it justice! The longer I examined the PG9, the more I believed it was the most eye-catching long gun I had ever handled. In combination with its black furniture, barrel and forend, the contrasting Norguard-finished upper and lower receivers make for a very striking weapon. And it’s not just for looks—Norguard is an effective, high-phosphorous electroless nickel coating with good lubricity. For even more visual appeal, the upper and lower receivers have distinctive sharp angles where others utilize curves as well as contrasting black components. 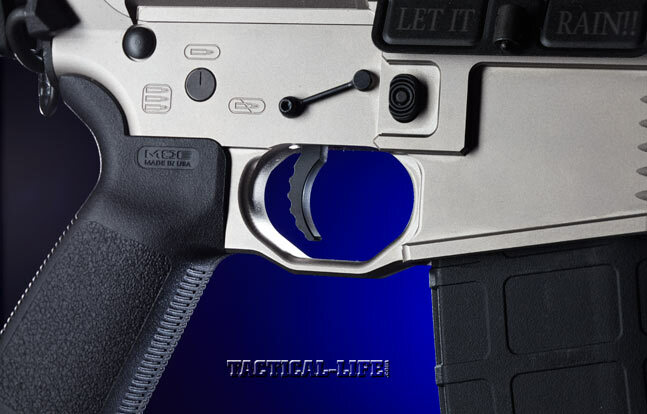 With the black, spring-loaded dust cover (with “Let It Rain!” printed on the inside) open, you can see the nickel-boron-coated bolt and its similarly treated carrier group. 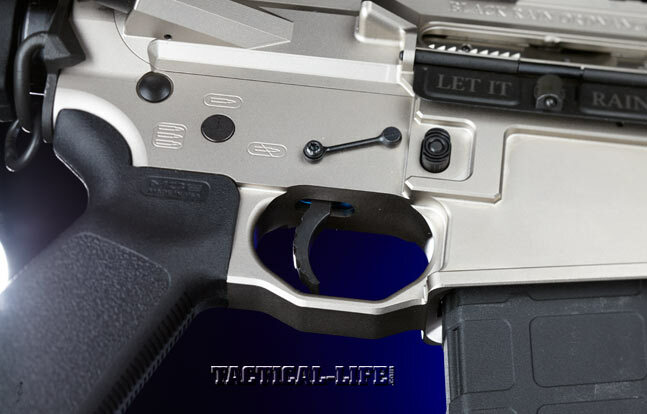 Also black are the takedown and pivot pins, the KNS Gen 2 Mod 2 anti-rotation pins, the trigger, the magazine release, the modified bolt catch, the safety/selector lever and the bolt forward assist. 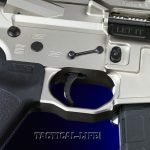 On the subject of triggers, Black Rain uses its own DIT trigger group, a drop-in unit designed to provide a crisp, single-stage pull of 3.5 pounds. 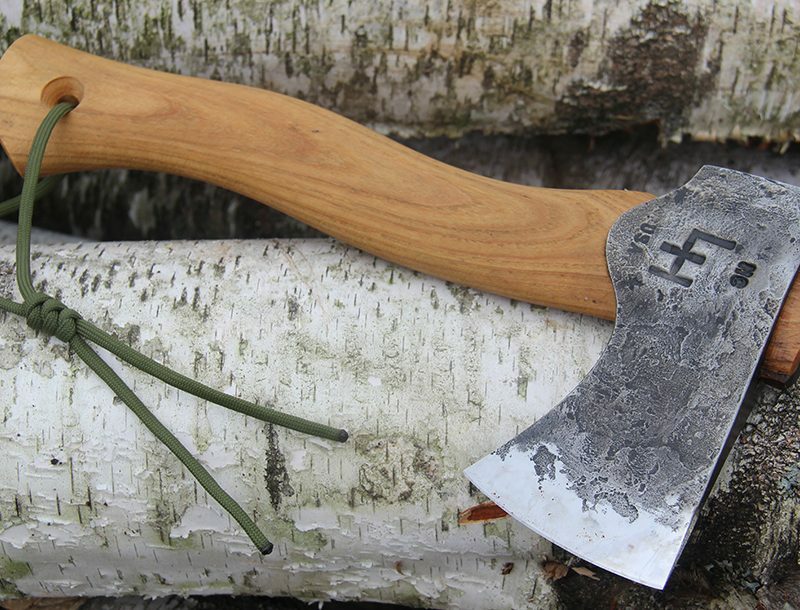 The sear and hammer are made of S7 tool steel. My sample measured in at 3.75 pounds with my Lyman electronic trigger pull gauge, and it was crisp as promised. Bullet pictograms are used to indicate the selector lever’s positions. 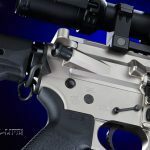 The milled, Norguard-treated charging handle moves smoothly, and the black tactical latch has significant vertical serrations that feel nice in operation. 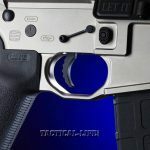 Integral to the lower receiver is an enlarged triggerguard; the usually annoying gap between the pistol grip and triggerguard has been eliminated. 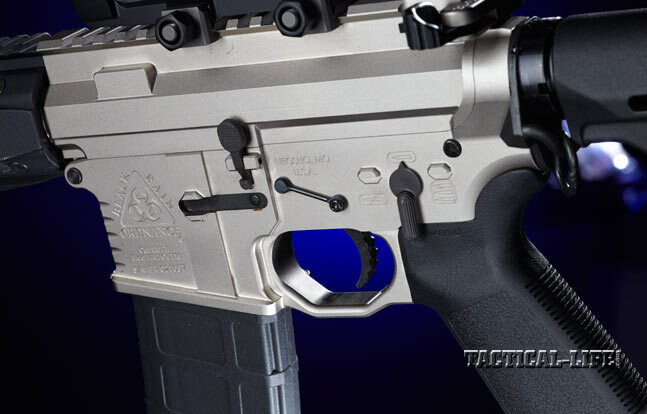 The lower’s magazine well is also enhanced—it’s flared and larger than normal. 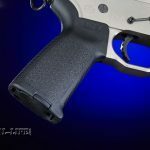 Grooves are also machined horizontally across the front of the magazine well for those who prefer to grip the weapon there. 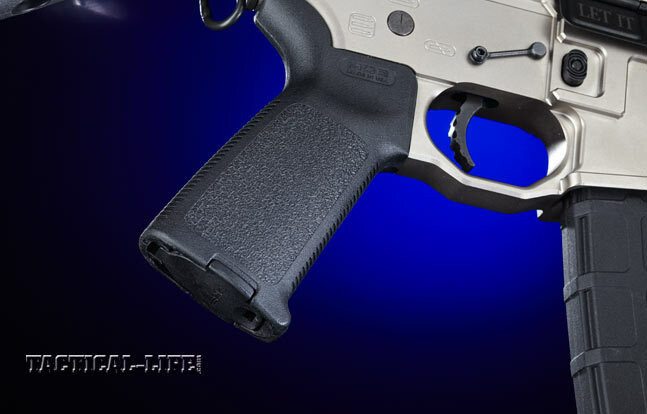 An enlarged, integral, three-sided “fence” protects the magazine release button from inadvertent release. The PG9’s 16-inch, 416 stainless steel barrel has Enfield rifling with six button-cut lands and grooves. With its 1-in-8-inch, right-hand twist rate, the barrel should work well for most bullets, and the carbine’s M4 feed ramps enhance its reliability. The nice-looking, machined fluting on the barrel increases the surface area for heat dispersion and reduces the weight without sacrificing rigidity. 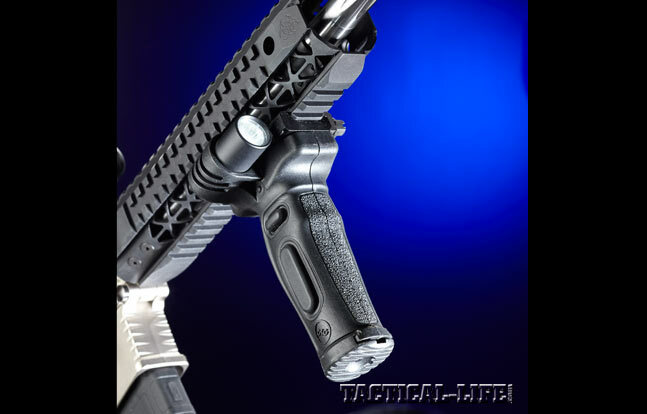 Surrounding the barrel is one of Black Rain’s 9-inch, free-floating, mid-length quad-rail handguards, which is machined from a 6061 aluminum extrusion and Type III hardcoat anodized. 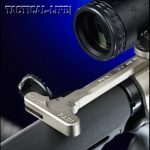 The rails have been ever so slightly dehorned, eliminating the sharp edges for comfort, and QD sling attachment points are near the front on both left and right sides. 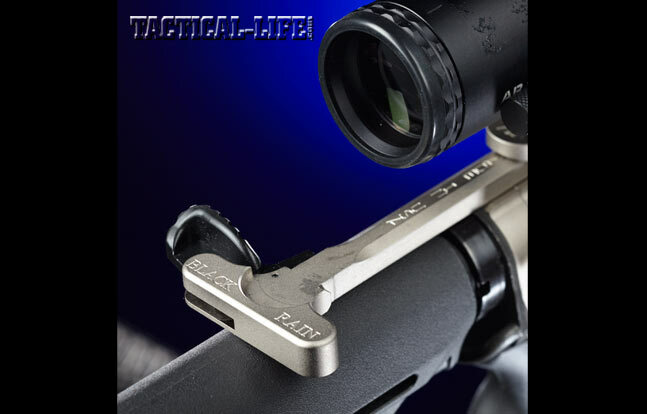 Also beneath the rail is a mid-length, low-profile, adjustable gas block and a stainless steel gas tube. The rifle came with a “shoot-through” plastic muzzle cap. 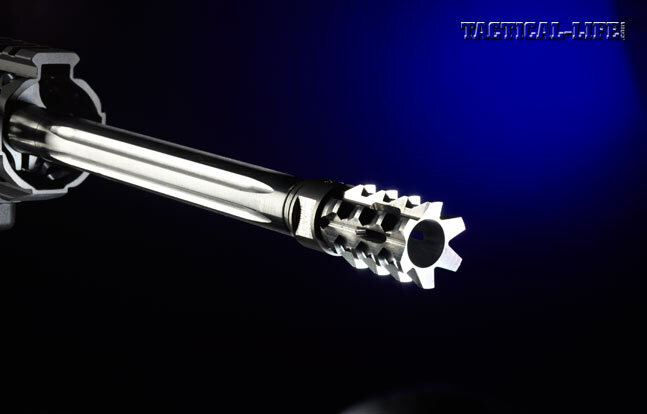 Removing it revealed Black Rain’s flash suppressor, which is covered in aggressive angles and sharp teeth. 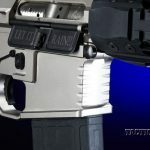 The plastic cap’s real purpose is to ensure the rifle bag’s interior lasts more than a few minutes with the flash-suppressor-equipped PG9 inserted. 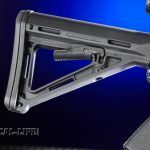 The rifle’s furniture includes the industry accepted and highly usable Magpul MOE stock and pistol grip as well as the company’s 30-round PMAG for reliable feeding. 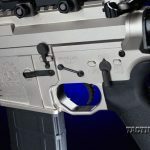 Working in conjunction with the QD points on the quad-rail is what appears to be a Magpul ASAP (Ambidextrous Sling Attachment Point), which is held in place by the castle nut and a sling slot on the MOE stock. All of this adds up to more than just a good-looking carbine. 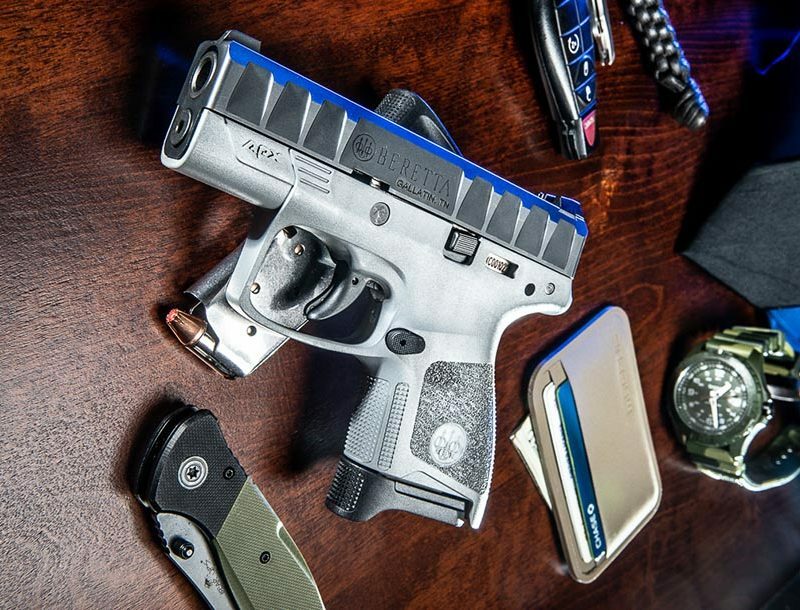 The special touches and treatments improve its functionality and durability—traits firearms intended for law enforcement use cannot afford to be without. Black Rain Ordnance’s PG9 may look great, but reliable functioning is the most important characteristic a weapon can have. Accuracy has to come second. A firearm that shoots one perfect, super-accurate shot and then becomes non-functional is only acceptable if there is a single threat. But life is seldom that generous. Bolting on an aluminum alloy CounterSniper 2-16×44 Crusader and sighting it in, I moved to the100-yard range. Using a Caldwell Lead Sled on a benchrest for stability, I ran three different loads through the PG9 to evaluate its accuracy, and there wasn’t a single bobble. The rifle was very accurate with bullets weighing between 55 and 69 grains. Heavier bullets would have undoubtedly fared just as well, too, but my shipment of those was delayed. 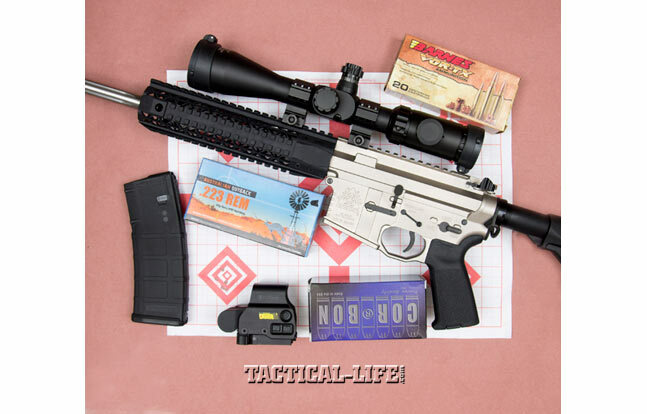 Moving to the 200-yard line, I rolled out a Dillon Precision shooting mat and popped off more rounds from each load to see how the Black Rain Ordnance PG9 held together with more distance. It did quite well considering I am not as steady as the Lead Sled. One load’s group simply doubled in size, while the other two clustered into tighter groups. In short, the PG9 is a shooter! After adding a CQB-effective EOTech EXPS3 holographic sight, I began a few closer range exercises. Successfully completing the shooting drills from 7 to 50 yards, I remembered why the EXPS3 is one of my favorite sights for this type of work. The EOTech and the PG9 worked well together. They’d handle CQB situations nicely. If there were one thing I would change on the PG9, it’d be the flash suppressor and its plastic cap. The cap fits so tightly that it irritated me each time I tried to put it on. That irritation, of course, doesn’t quite equal leaving the cap off and having the sharp edges of the flash suppressor destroy the interior of a bag or case. The PG9 is a really attractive package—not your usual “tactical black”—but its pretty face certainly doesn’t mean it’s not ready to go to work! If the administrators have to have black, the PG5 seems to be identical with black, Type III hardcoat anodized receivers. For those involved in the direct impingement/piston debate, the PG9 (and PG5) are also available with the Adams Arms piston system. Me? I’d take a nice-looking carbine enhanced with features and a coating to make it even more durable every time! 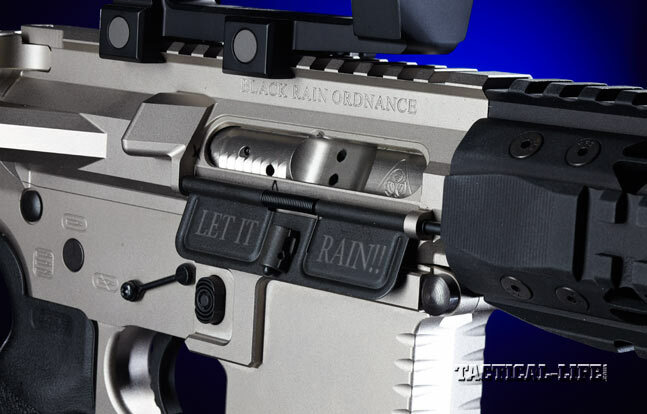 The Black Rain Ordnance PG9 is a great choice. 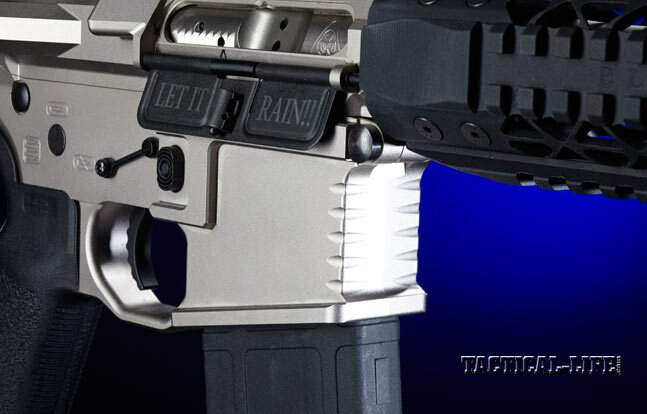 For more information, visit http://www.blackrainordnance.com.